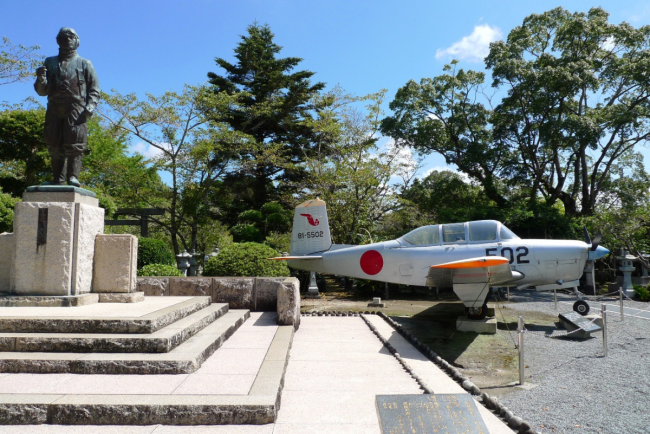 The airbase at Chiran, Minamikyūshū, on the Satsuma Peninsula of Kagoshima, Japan, served as the departure point for hundreds of Special Attack or kamikaze sorties launched in the final months of World War II. 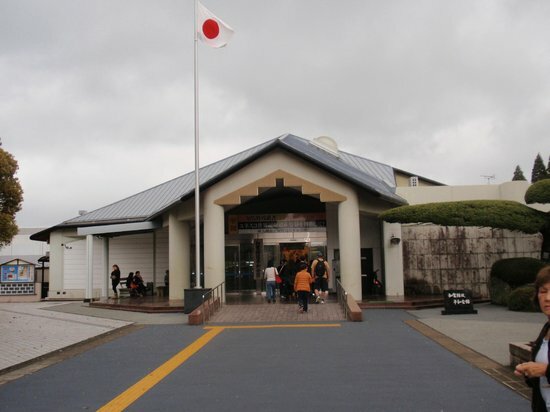 A peace museum dedicated to the pilots, the Chiran Peace Museum for Kamikaze Pilots (知覧特攻平和会館 Chiran Tokkō-Heiwa-Kaikan), now marks the site. KASAMA, Japan – The pilots filed into the room and were presented with a form that asked if they wanted to be kamikaze. It was multiple-choice, and there were three answers: “I passionately wish to join,” ”I wish to join,” and “I don’t wish to join.” This was 1945. 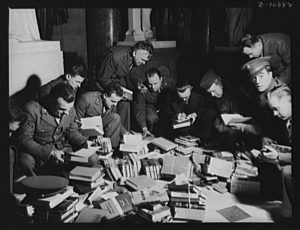 Many were university students who had been previously exempt from service, but now Japan was running out of troops. He did not know then if anyone had dared to refuse. He learned later that the few who did were simply told to pick the right answer. Tezuka so wanted to be honest to his feelings he crossed out the second choice and wrote his own answer: “I will join. I did not want to say I wished it. I didn’t wish it,” he told The Associated Press at his apartment in a Tokyo suburb. They were the kamikaze, “the divine wind,” ordered to fly their planes into certain death. The U.S. Strategic Bombing Survey and data kept at the library at Yasukuni shrine in Tokyo estimate that about 2,500 of them died during the war. Some history books give higher numbers. 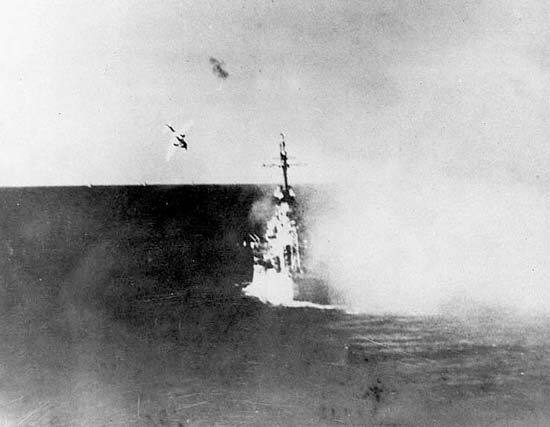 About one in every five kamikaze planes managed to hit an enemy target. Books and movies have depicted them as crazed suicide bombers who screamed “Banzai” as they met their end. But interviews with survivors and families by The Associated Press, as well as letters and documents, offer a different portrait — of men driven by patriotism, self-sacrifice and necessity. The world they lived in was like that multiple-choice form: It contained no real options. 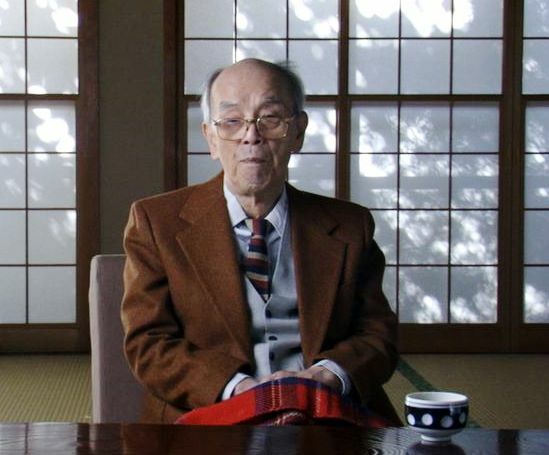 He survived only because Emperor Hirohito announced Japan’s surrender on a radio broadcast, just as he was on a train headed to take off on his kamikaze attack. A burly man with a quick wit, Tezuka hands a reporter a sepia-toned photo of himself as a Zero fighter, grinning in a helmet, the trademark white silk scarf at his neck. “That’s to keep warm. It gets really cold up there,” he says. 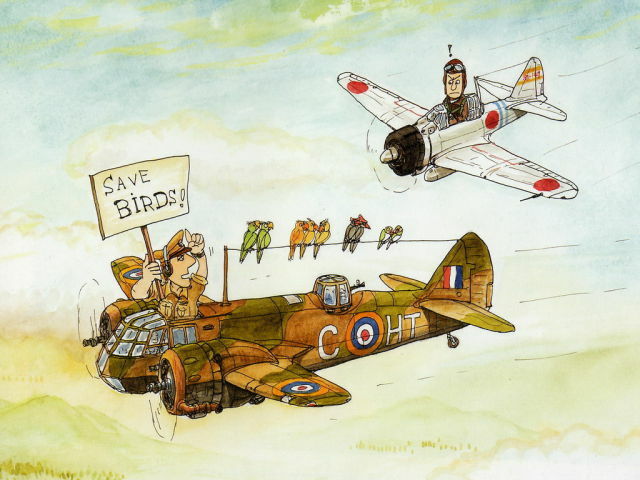 Seventy years after the end of World War II, the runway that once stretched at Tsukuba is long gone. But the rows of cherry blossoms still stand. In another corner of the Tsukuba grounds, an underground bomb shelter winds in pitch darkness through several chambers. It was designed to serve as an emergency command. It’s a reminder of the illusory determination that gripped the imperialist forces, to keep fighting, no matter what. 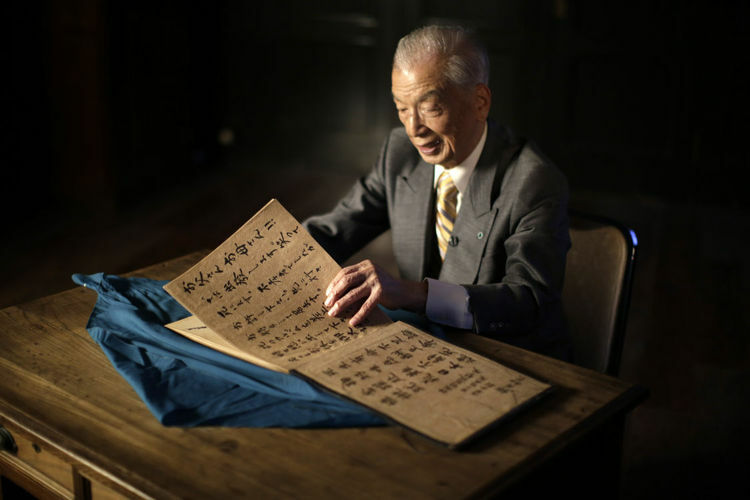 Yoshiomi Yanai looks over the Last Will and Testament he wrote out before flying his kamikaze mission. Though the Zero was used in kamikaze missions, it was not designed for the task. The Ohka was. 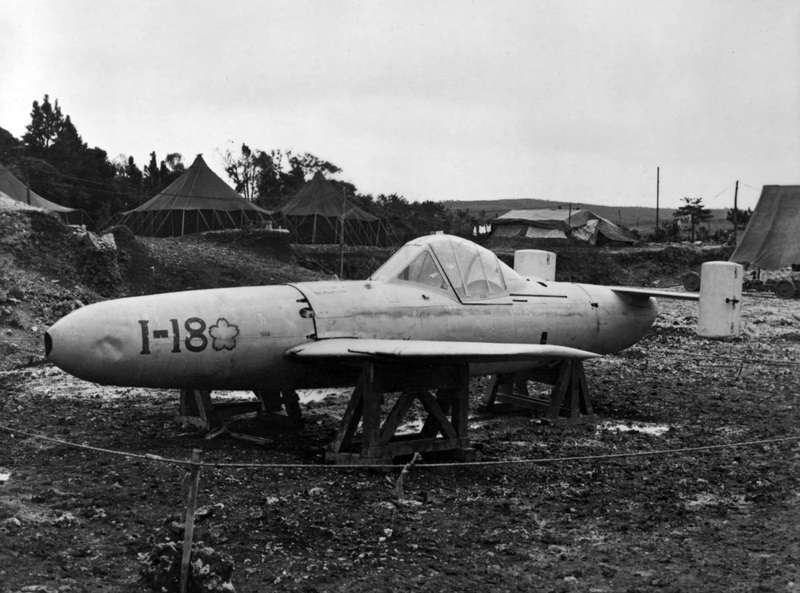 It was a glider packed with bombs and powered by tiny rockets, built to blow up. They were taken near the targets, hooked on to the bottom of planes, and then let go. Americans called it the “Baka bomb.” Baka is the Japanese word for idiot. 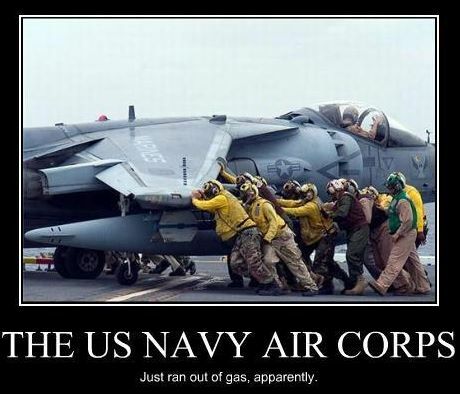 Because their cruise range was so limited, they were easily shot down. Hayashi believes Ohka might never have happened if there had been no volunteers when the concept was first suggested. He was one of the first two volunteers for Ohka. Dozens followed. But he could never stop blaming himself, wondering whether his early backing helped bring it about. When he finally saw one of the flimsy gliders, he felt duped; many thought it looked like a joke. 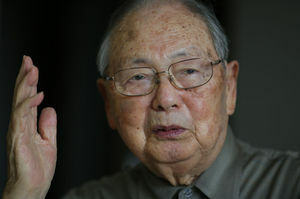 After the war, Hayashi joined the military, called the Self-Defense Forces, and attended memorials for the dead pilots. He consoled families and told everyone how gentle the men had been. They smiled right up to their deaths, he said, because they didn’t want anyone to mourn or worry. “Every day, 365 days a year, whenever I remember those who died, tears start coming. I have to run into the bathroom and weep. While I’m there weeping, I feel they’re vibrantly alive within my heart, just the way they were long ago,” he wrote in his essay “The Suicidal Drive.” “I think of the many men I killed with my pencil, and I apologize for having killed them in vain,” he said. He often said he wanted his ashes to be scattered into the sea near the southern islands of Okinawa, where his men had died. 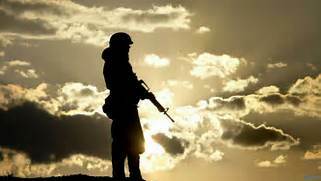 Until then, he said, his war would never be over. 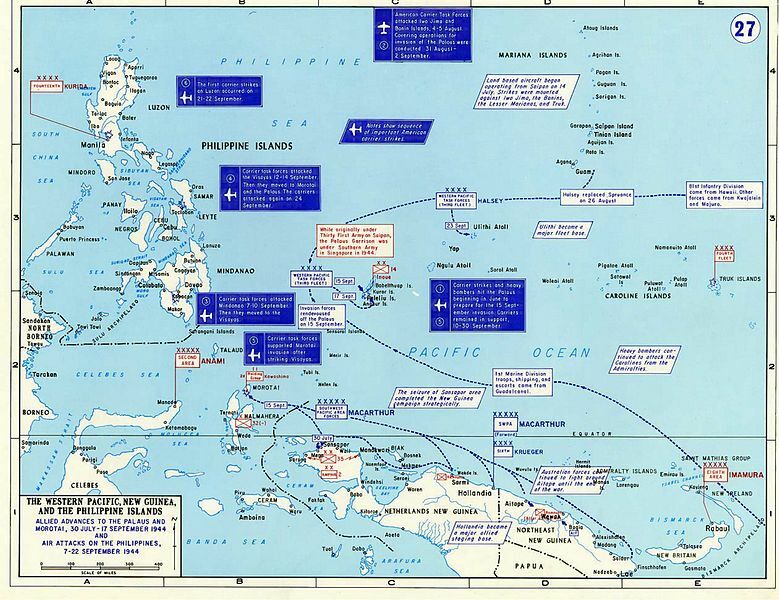 Shortly before the invasion of Leyte began, the Joint Chiefs of Staff directed MacArthur to invade Luzon on December 20, 1944, thus settling the argument as to whether Luzon or Formosa should be the next object of attack. It was not expected that Luzon would be easily reclaimed, but it was believed that the conquest of Formosa would be much more difficult and might require as many as nine divisions, more than were then available in the Pacific area. While construction of airfields on the muddy terrain of Leyte moved slowly forward, and while the fleet recovered from the Battle of Leyte Gulf, MacArthur decided to occupy the island of Mindoro, directly south of Luzon, for the construction of additional airfields. The attack on Mindoro began on December 15 and the invasion of Luzon was rescheduled for January 9, 1945. Both invasions were undertaken by the U.S. 6th Army under Lieut. Gen. Walter Krueger, supported by the 3rd and 7th fleets, and by the Army air forces in the area. 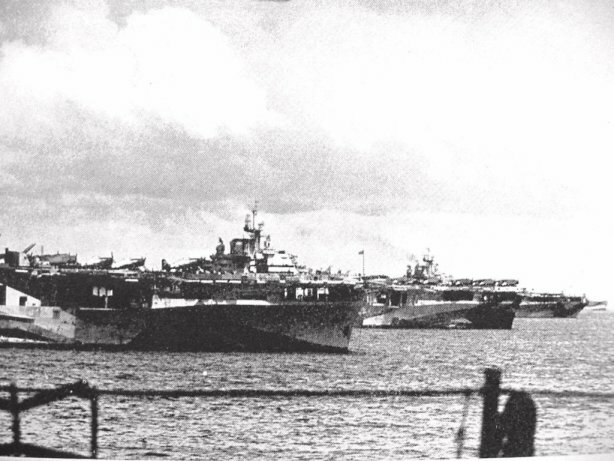 After the preliminary air attacks on Luzon at the turn of the year, the 3rd Fleet moved into the South China Sea to hit Formosa, Hong Kong and Chinese coastal points. The U.S. troops encountered little opposition on the ground at Mindoro but they were subjected to heavy air attacks both en route and after landing. 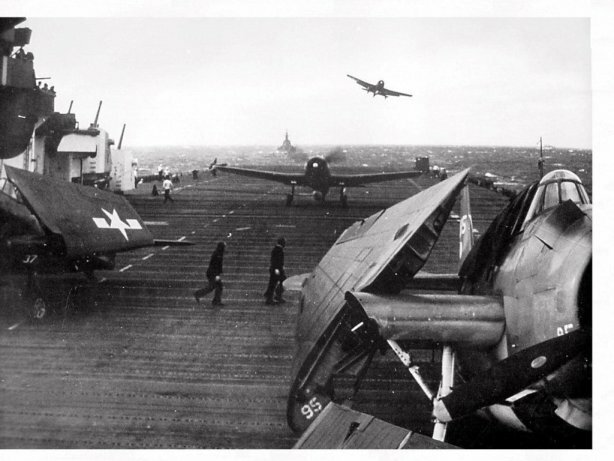 The Japanese had now begun to use kamikaze attacks on a regular basis and, although many such suicide planes were shot down, many others reached their targets. Before the end of the year new airfields on Mindoro were ready to handle planes supporting the larger invasion of Luzon. 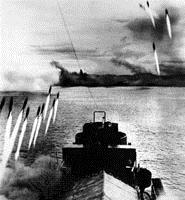 On the way from Leyte Gulf to the landing site at Lingayen Gulf on the west coast of Luzon, the invasion armada suffered damage from repeated kamikaze attacks. One pilot plunged his plane onto the bridge of the battleship New Mexico, killing more than 30 persons, including the captain of the ship. The troops of the I Corps and the XIV Corps would go ashore at Lingayen Gulf on January 9, 1945, and be met with little resistance because the Japanese had not expected a landing at that point. The Japanese commander in charge of defending the island was Gen. Yamashita Tomoyuki, the conqueror of Singapore and Bataan, who commanded the Japanese 14th Area Army. Realizing that the diversion of forces to Leyte and the inability of the Japanese High Command to send reinforcements to Luzon gave him little hope of defeating the 6th Army, Yamashita decided upon static defense aimed at pinning down Allied troops on Luzon for as long as possible. He established three principal defensive sectors: one in the mountains west of Clark Field in the Central Plains; a second in mountainous terrain east of Manila; and the third and strongest in the mountains of northwestern Luzon, centering initially on Baguio. Manila was also strongly defended, though Yamashita at one time apparently had some thought of abandoning the city. Mindanao, second largest island in the Philippines, had been MacArthur’s first target before the change in plans made in September 1944, but as events turned out it was the last island to be retaken. Maryann Holloway not only brings us her father’s WWII Naval story, but a well researched account of the Battle of Ormoc Bay. There are a number of photos, perhaps some you have never seen before. I hope you find it interesting. He is probably best remembered for his military service in the China-Burma-India Theater during World War II. His nickname “Vinegar Joe” was attributed to his caustic personality. Born in Palatka, Florida, then moved with his family to New York. 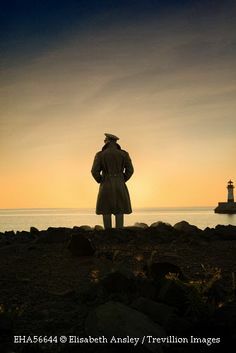 After high school he received an appointment to attend the US Military Academy at West Point, New York and graduated in 1904 with a commission as a second lieutenant. During World War I, he was assigned to the US 4th Corps as an intelligence officer and helped plan the St. Mihiel offensive. He was awarded the Distinguished Service Medal for his service in France. After World War I he served three tours in China, where he became fluent in Chinese, and was the military attaché at the U.S. Legation in Beijing from 1935 to 1939. 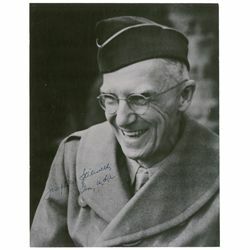 In 1939 he returned to the US and became the assistant commander of the 2nd Infantry Division at Fort Sam Houston, Texas and from 1940 to 1941 he was assigned to organize and train the 7th Infantry Division at Fort Ord, California. In 1941 he was sent back to China by President Franklin Roosevelt and Army Chief of Staff George C. Marshall where he performed duties as the Chief of Staff to Generalissimo Chiang Kai-Shek, and also served as the commander of the China-Burma-India Theater responsible for all Lend-Lease supplies going to China, and later was Deputy Commander of the South East Asia Command. Unfortunately, despite his status and position in China, he soon became embroiled in conflicts over U.S. Lend-Lease aid and Chinese political sectarianism. When he arrived in China, he immediately began the task of reforming the Chinese Army, over the concerns of Chiang Kai-Shek that the American-led forces would become another independent force outside of his control. 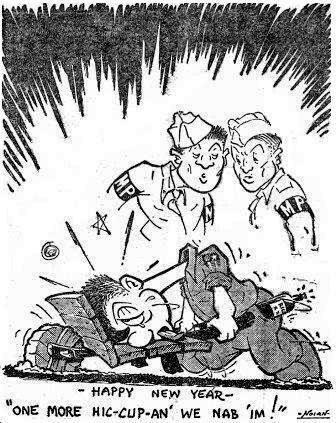 The Chinese leader was far more concerned with fighting the Red Chinese Army, while also keeping a majority of the Lend-Lease benefits for himself and his cohorts. In Burma, his initial military operation, to keep open the Burma Road between India and China and to repel Japanese incursions into Burma, failed. 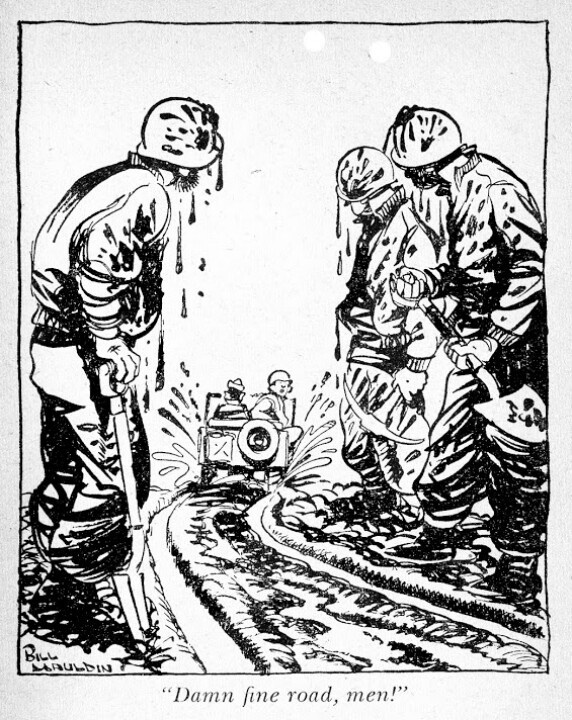 The operation in Burma was so disastrous that Chinese forces under his command stopped taking orders. 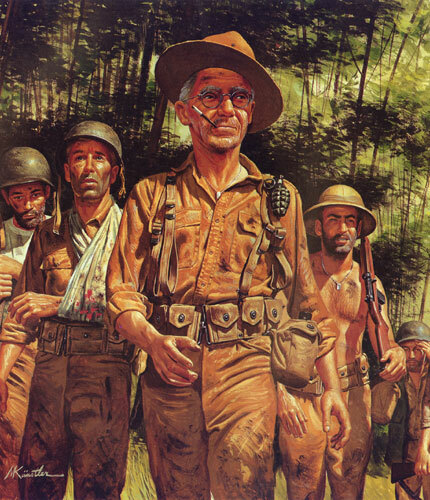 He personally led his 117-member staff to safety in India on foot as the Allied forces capitulated to the Japanese invasion. 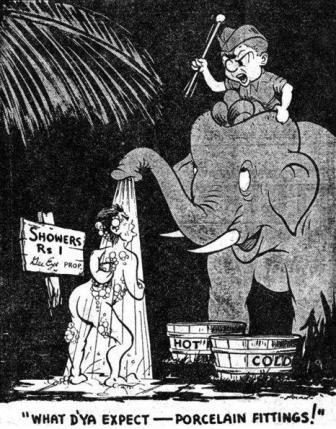 In India, he became well known for his no-nonsense demeanor and disregard for military pomp and ceremony. 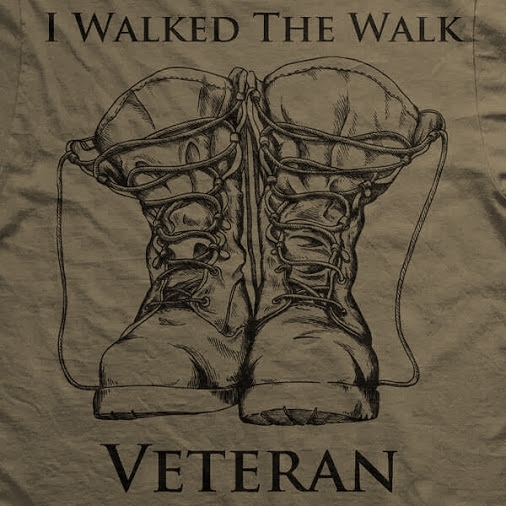 His trademarks were a battered Army campaign hat, GI shoes, and a plain service uniform with no insignia of rank, and frequently carried a .30 Springfield rifle rather than a sidearm. His derogatory remarks castigating the ineffectiveness of what he termed “Limey” forces, a viewpoint often repeated by his staff, did not sit well with British and Commonwealth commanders. However, it was well known among the troops that his disdain for the British was aimed toward those high command officers that he saw as overly stuffy and pompous. He managed to lead Chinese divisions to retake Myitakyina and its airfield on August 4, 1944, from Japanese control, rebuilding the Ledo Road, a military highway in India that led into Burma. However, conflicts with Chiang Kai-Shek led to his ultimate removal in October 1944. 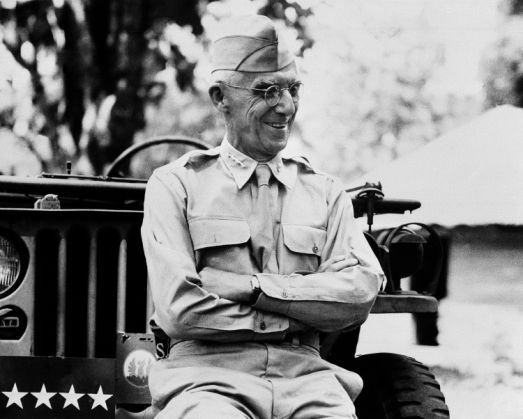 He then served as Commander of Army Ground Forces, US Tenth Army Commander in the last few days of the Battle of Okinawa in 1945, and as US Sixth Army Commander. 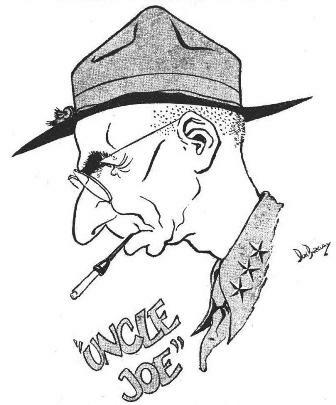 In November 1945 he was appointed to lead a “War Department Equipment Board” in an investigation of the Army’s modernization in light of its recent experiences. Among his recommendations was the establishment of a combined arms force to conduct extended service tests of new weapons and equipment and then formulate doctrine for its use, and the abolition of specialized anti-tank units. His most notable recommendation was for a vast improvement of the Army’s defenses against all airborne threats, including ballistic missiles. He died of stomach cancer at the age of 63 at the Presidio of San Francisco, while still on active duty. 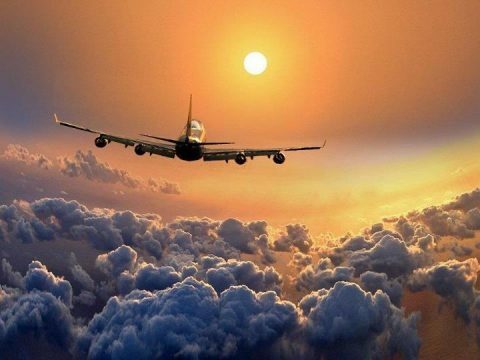 He was cremated and his ashes were scattered over the Pacific Ocean. Among his military awards and decorations include the Distinguished Service Cross, the Army Distinguished Service Medal with one Oak Leaf Cluster, the Legion of Merit, the Philippine Campaign Medal, the World War I Victory Medal, the China Service Medal, the American Defense Service Medal, the Asiatic-Pacific Campaign Medal, the World War II Victory Medal, the National Order of the Legion of Honour (France), and the Combat Infantryman Badge, only one of three general officers to be given this award normally reserved for those in the rank of colonel or below. 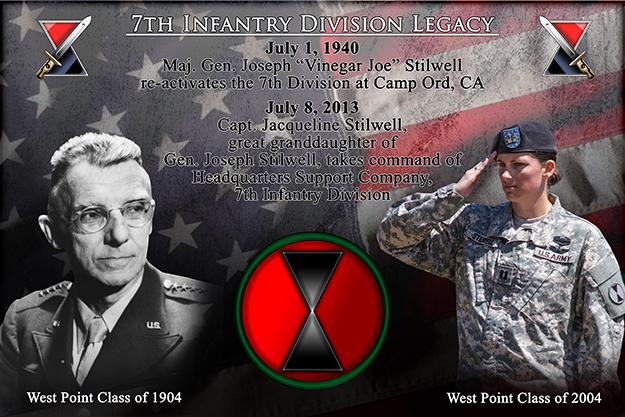 The General Joseph W. Stilwell Award for the Outstanding Overall Cadet, Senior Division, in the California Cadet Corps is named in his honor. So much more could be written for this soldier and his standards. You can stand down now, General. This information was obtained from a bio written by: William Bjornstad; CBI Roundup; History on-line. Bud Hindsley – Union City, IN; USMC, WWII, PTO, Cpl. 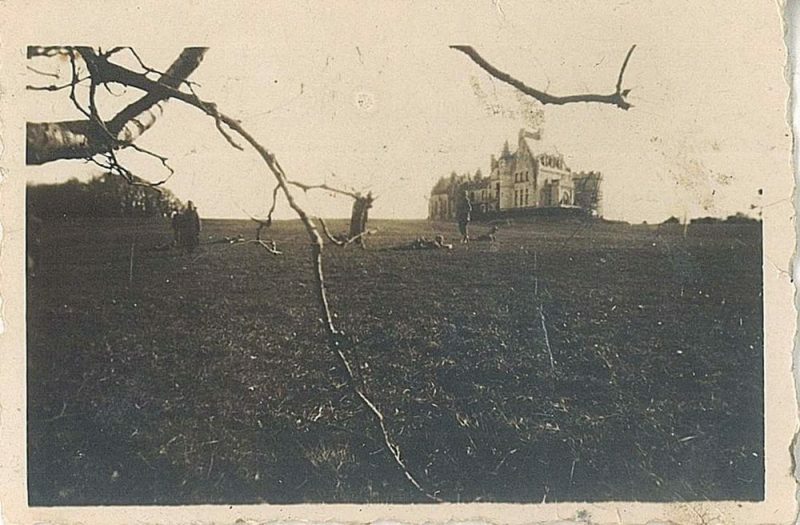 I have been shown this photo and asked if I or any of my readers could give a clue as to where this WWII picture was taken. 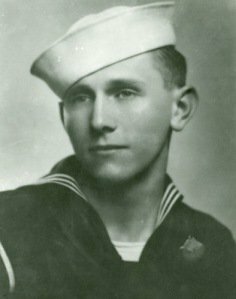 Thank you for taking the time to look…..
Born in Vancouver in 1919, Douglas Munro attended Cle Elum High School in Washington state. 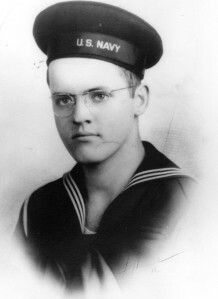 He attended the Central Washington College of Education for a year before enlisting in the Coast Guard in 1939. He spent his first two years on board the Cutter Spencer, a 327-foot Treasury-class cutter which patrolled out of New York, and later Boston. While on the Spencer, Munro advanced quickly, making Signalman 2nd Class by the end of 1941. 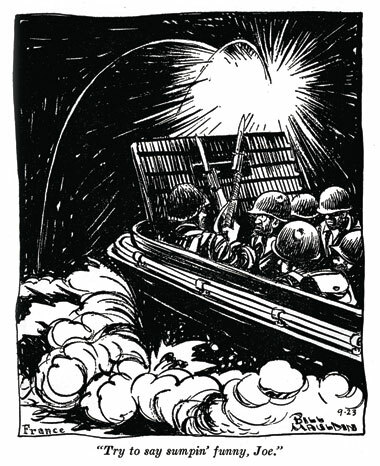 After the Spencer, he transferred to the Hunter Ligget, a Coast Guard-crewed landing craft patrolling in the Pacific. In 1942 he was made a part of Transport Division 17, helping to coordinate, direct, and train other troops for amphibious assaults. After the Marines had moved west of Lunga point, they encountered an entrenched Japanese position on the far side of the Manatikau river. It was clear that an attack across the river would be fruitless, and a plan was devised to bring men down the coast, to land west of the Japanese position, allowing it to be attacked from both sides. To achieve this goal Marine Lieutenant Colonel Lewis “Chesty” Puller placed men from the 7th Marine Division onto landing craft and began an assault on September 27th. 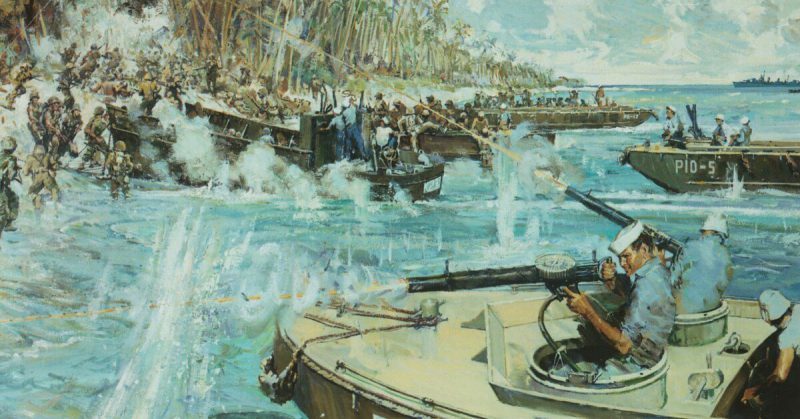 These landing craft were led by Douglas Munro, who took the men into a small bay just west of Point Cruz and delivered the entire 500 man force unopposed. Meanwhile, the destroyer USS Monssen laid down supporting fire and protected the Marines’ advance. Meanwhile, Munro and his crews returned to Lunga point to refit and refuel, leaving a single LCP(L) (a 36-foot landing craft, lightly armed and made mostly of plywood) to provide evacuation for any immediate casualties. 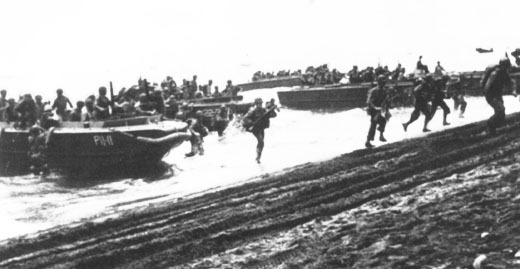 Marines landing on the beach from their LCP’s. But less than an hour after the initial landing the operation began to deteriorate. First, a flight of Japanese bombers attacked the Monssen, forcing her to leave the Marines without fire support. Then the Japanese launched an infantry attack on the Marines. The Japanese had stayed to the north of the Marine landing force, near a rocky cliff known as Point Cruz. Their attack to the southwest was designed to cut the Marines off from their escape route. There the single LCP(L) still sat, manned by Navy Coxswain Samuel Roberts and Coast Guard Petty Officer Ray Evans. The men had gotten close into shore for a speedy evacuation. A sudden burst of Japanese machine gun fire damaged their controls. Roberts managed to jury rig the rudder but was fatally wounded in the process, Evans jammed the throttle forward, speeding back to Lunga Point. The trapped Marines hadn’t brought their cumbersome radios with them, and couldn’t signal back to their support. In desperation, they spelled out “HELP” by laying out their undershirts on a hillside. Luckily this was noticed by a Navy dive bomber pilot who reported it back to the sailors at Lunga. Because of this, by the time Evans’ LCP(L) made it back Munro and his men were already aware that something wasn’t going right. Thanks to Evans they now had the detailed information needed to make a plan of action. 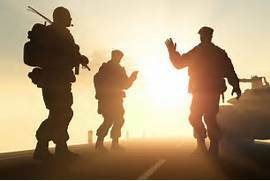 It was determined that a group of small boats and troop transports would have to return, under fire, to get the men out of the combat zone. Munro immediately volunteered to lead the operation and got ten boats readied and underway as soon as possible. This small flotilla came into the bay under fire. 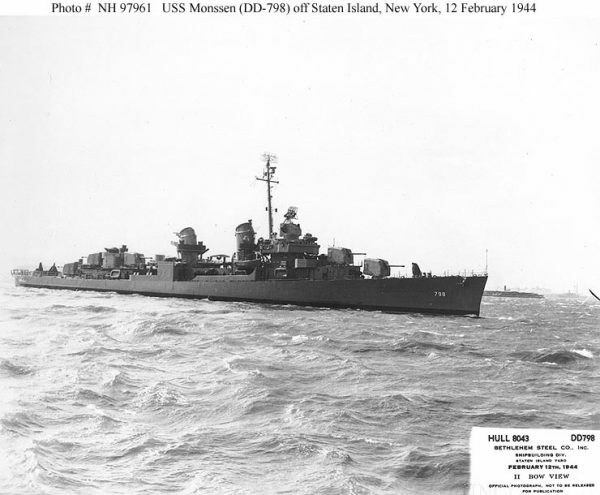 USS Monssen, which had returned , gave support. Munro directed his landing craft to begin ferrying the men back to the Monssen, while he and the other LCP(L)s provided fire support. By this time the Japanese had taken up positions on all three sides of the bay, and were able to coordinate a devastating barrage of fire on the retreating men. Seeing this, Munro positioned his own craft between the enemy and the landing crafts to provide support by fire. After the last men were coming off the beach, a landing craft became grounded. Munro ordered another craft to tow it free while he provided support, again putting his own boat in harm’s way to help save as many men as possible. While Munro’s boat was taking position to do this, a Japanese machine gun crew was setting up on the beach. Petty Officer Evans, saw this and called out for him to get down, but Munro couldn’t hear him and he was fatally wounded. Evans pulled away, and along with the rest of landing craft, headed back to Lunga Point; with all of the Marines saved. 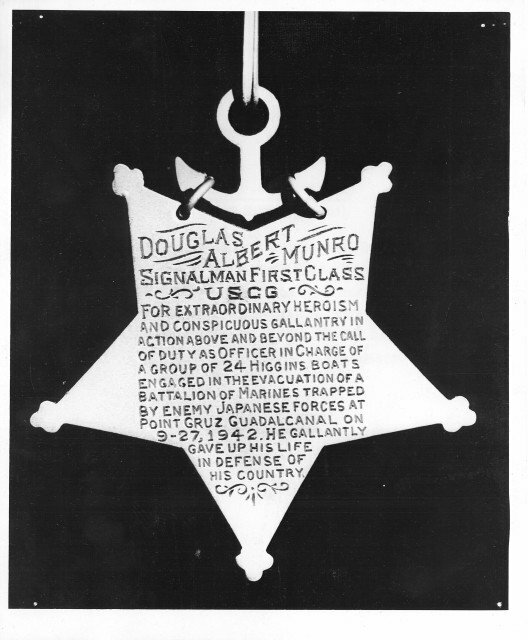 Thanks to Munro’s heroism, 500 Marines made it off the beach that day, and for this, Signalman 1st Class Douglas A. Munro was posthumously awarded the Congressional Medal Of Honor. 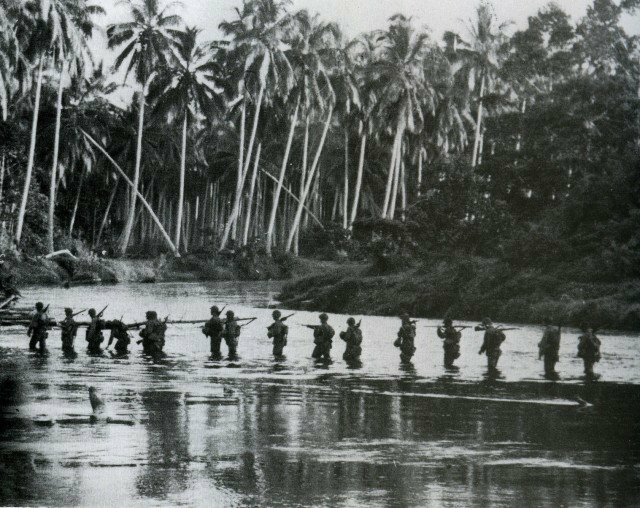 The 500 men he saved went on to help capture the Matanikau River early in October, which meant the beginning of the end for Japanese forces on Guadalcanal. The engraving on the back of Munro’s medal. Munro’s body is interred in his hometown of Cle Elum, Washington, and his Medal of Honor is on display at United States Coast Guard Training Center Cape May, New Jersey, where it serves an everlasting example to new recruits about what it means to truly be a United States Coast Guardsmen. Alexander Strachan – Christchurch, NZ; RNZ Air Force # 4210193, WWII, Sgt. 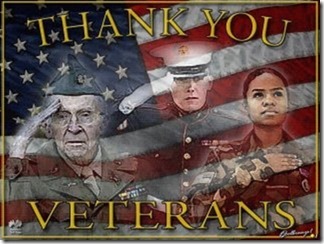 Here is something else that began during WWII that we now take for granted. 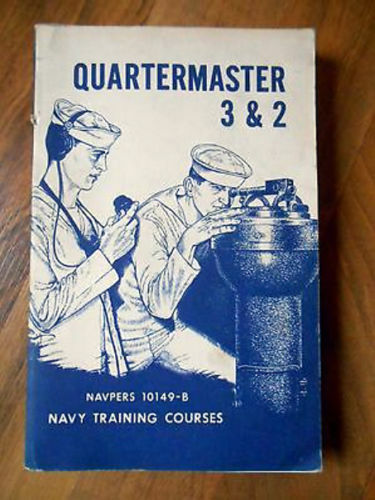 Quartermaster corpsmen provided Class I, II, III and IV items to the war front. A steady supply of food and rations was most vital to the survival of the far-flung armed forces. 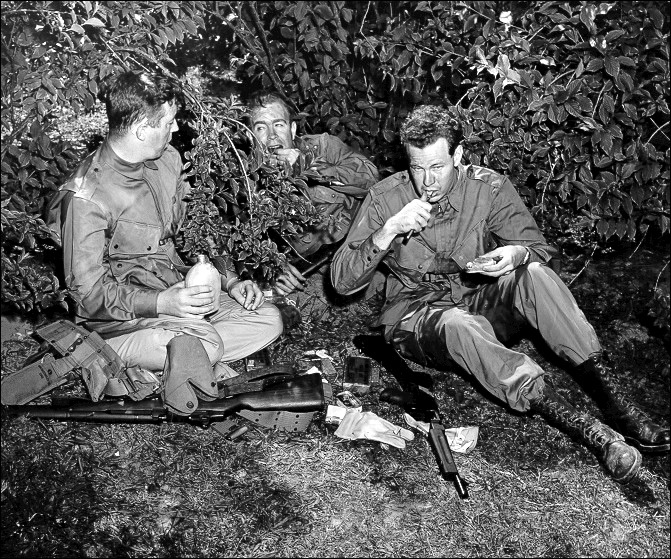 During much of the war the Pacific Theater experienced heavy losses of food, resulting in random cycles of “feast and famine.” Food losses stemmed from a number of sources, the first being storage problems. 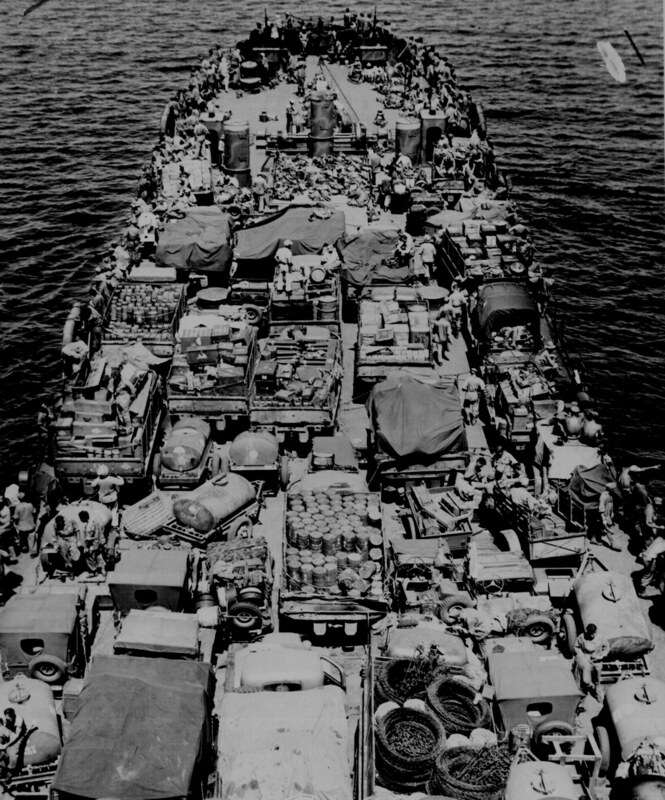 Limited warehousing was available, and Class I items shipped to the Pacific were often stacked in big open food dumps with little protection from the elements. To rectify that problem, the corpsmen created portable warehouses called “Paulin Oases,” which resembled a native hut called a bures. 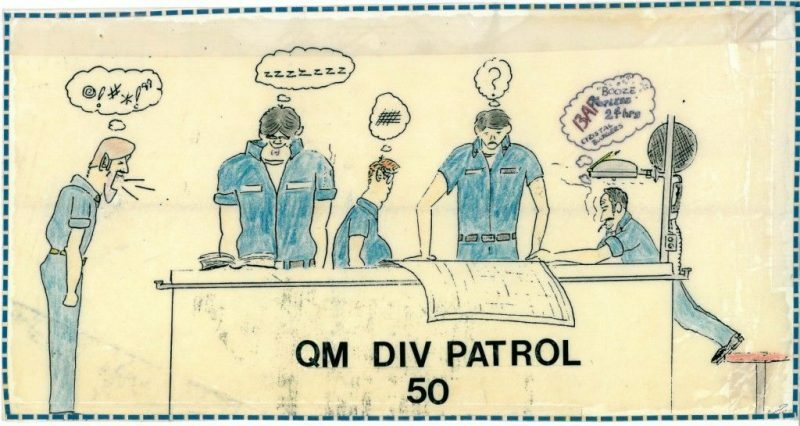 Quartermasters in the Pacific had trouble getting sufficient reserves of clothing where it was needed, mainly because the U.S. clothing and textile industry could not easily obtain the necessary raw goods from scarce commodities. In addition, sometimes plants had to be completely retooled to accommodate full-scale production. Clothing took a lower priority compared to food and petroleum products. After the clothing did arrive, it usually went into base storage areas — sometimes disintegrating as a result of devastating environmental effects. 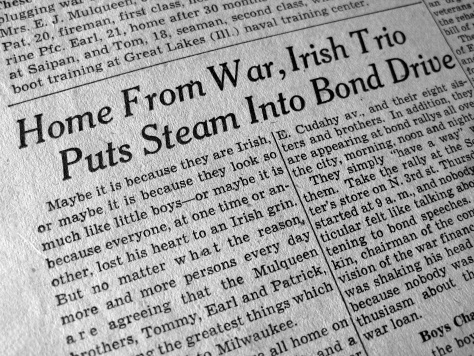 Essential to the war effort were gasoline, kerosene, aviation fuel, diesel oil, fuel oil and petroleum-based lubricants. 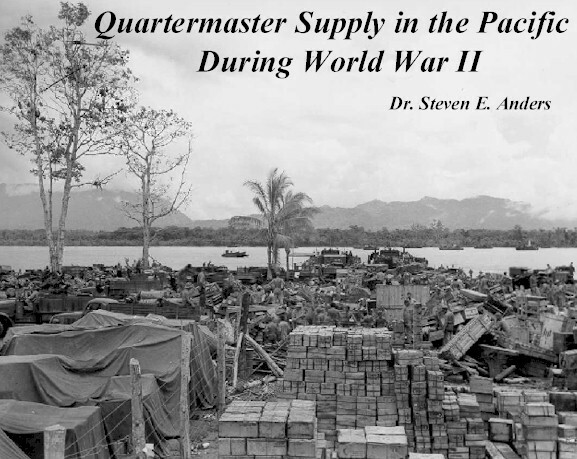 Critical for the sustainment of war machinery and more vital even than clothing and general supplies, those Quartermaster supply items took high priority. The corpsmen excelled in the processing and delivery efforts, and because of easy accessibility from Australia, it suffered fewer hazards. Such diverse items as rope, soap, candles, knives, forks and spoons rarely warranted “life or death” status. Those Class IV items usually shipped on a restricted basis. 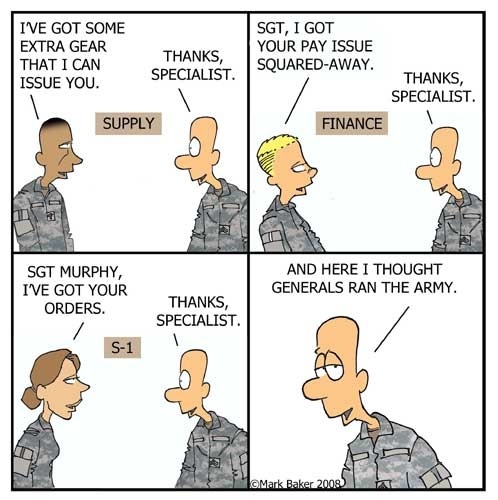 A procurement problem on the home front — the inability of the manufacturers to meet demand with supply — was the main reason for delays. Quartermaster Corps on the beaches D-Day. 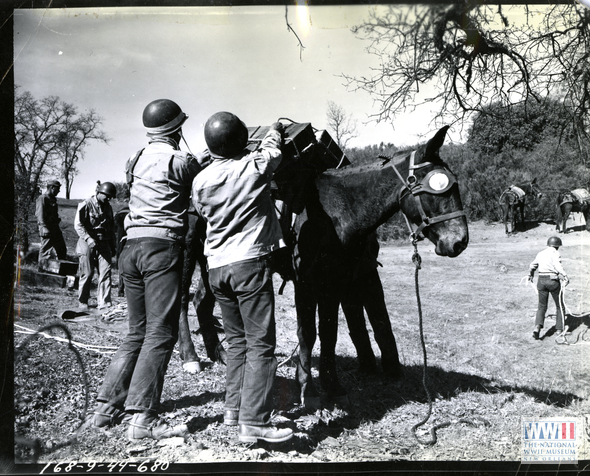 The Quartermaster Corps trained thousands of soldiers during World War II, filling specialized roles in every theater of operation from the Pacific and CBI theaters to North Africa, Italy, central and northern Europe. They willingly supplied more than 70,000 different items with more than 24 million meals each day going to the servicemen. Pacific Paratrooper did a post on George Watson previously to honor the Quartermaster who won a Medal of Honor. Dwight McBride – Elida, OH; US Army Air Corps, WWII, APO, PTO, radioman, Sgt. 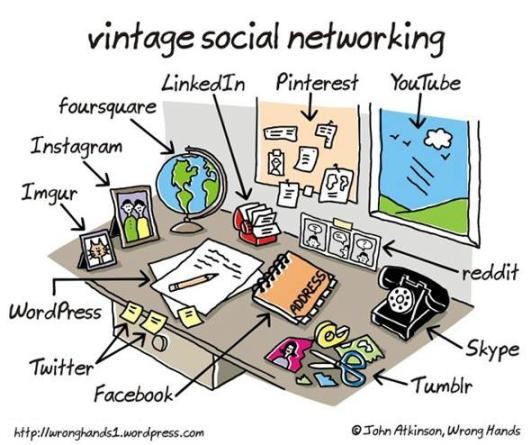 Before the invention of electronic computers, “computer” was a job description, not a machine. Both men and women were employed as computers, but women were more prominent in the field. This was a matter of practicality more than equality. Women were hired because there was a large pool of women with training in mathematics, but they could be hired for much less money than men with comparable training. Despite this bias, some women overcame their inferior status and contributed to the invention of the first electronic computers. In 1942, just after the United States entered World War II, hundreds of women were employed around the country as computers. Their job consisted of using mechanical desk calculators to solve long lists of equations. The results of these calculations were compiled into tables and published for use on the battlefields by gunnery officers. The tables allowed soldiers in the field to aim artillery or other weapons, taking into account variable conditions such as temperature and air density. Today, such calculations are done instantly in the battlefield with microcomputers. One place where human calculators were busy at work was the Moore School of Engineering, a part of the University of Pennsylvania in Philadelphia. Dozens of women worked there, cranking the handles on their calculators and producing column after column of numbers. Adele Goldstine and Mary Mauchly, both employees of the university and wives of professors involved in computing, helped recruit and train the women who, early in the war, were usually college graduates with math degrees. Later, high school graduates were used. A few highly trained workers, including one Lila Todd, operated what was called a differential analyzer, a machine that could calculate the path of a shell or bomb as it flew through the air. But engineers such as John Mauchly thought it would be better to design a machine to do other tasks such as calculating ballistic tables, and began working on what became the ENIAC, one of the first electronic digital computers. 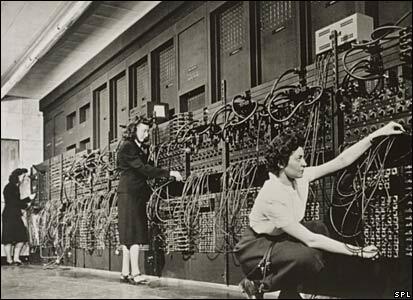 Some women were hired to assemble the circuits used in the ENIAC, although very little is known about who these women were. 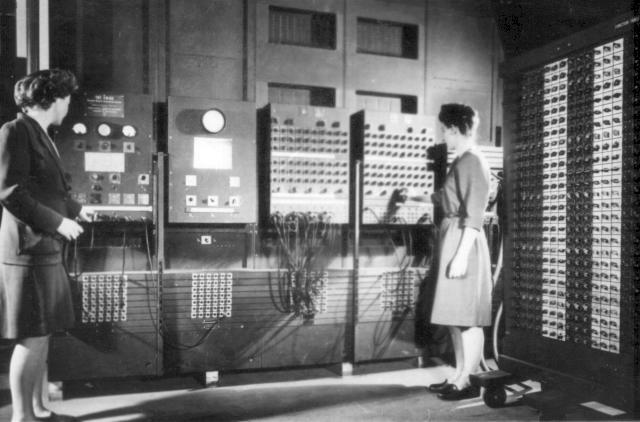 When the ENIAC was nearing completion, six women were chosen from among the human computers to be trained as programmers. These were Kay McNulty, Frances Bilas, Betty Jean Jennings, Elizabeth Snyder, Ruth Lichterman, and Marlyn Wescoff. By this time, it was the autumn of 1945. 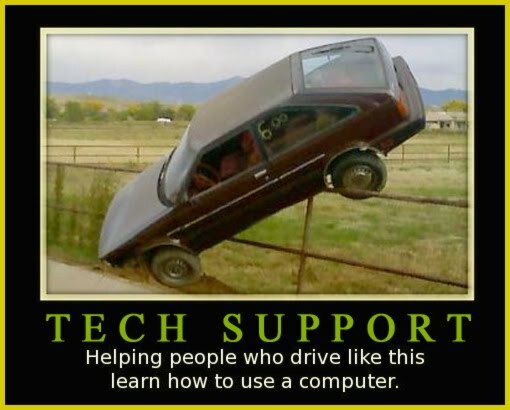 The war had ended, but the computing program was not cancelled. Instead, the military remained interested in a machine that would calculate complex trajectory equations very rapidly, and support for the project continued. The six women chosen to be programmers devised the very first computer program, which was demonstrated when the ENIAC was unveiled in early 1946. A short time later, all the women were taken off the project when the machine was taken to a military base near Washington, D.C., but several of them found employment elsewhere as programmers, and five of the six are alive as of this writing. A Home Front story from a fellow blogger! The USA was united and worked together! !